That’s funny, right? Last week, as Nexus fans (and us) threw a bit of a fit about the lack of transparency around the 7.1 update that was on Pixel phones already, but not Nexus, Google told us to expect the update as a preview before the end of the year. Now, it’s coming “this month.” I’m not complaining about the timing, but that change in timeline sure is curious. Either way, Android 7.1 is now super official outside of Pixel phones and will show up as a Developer Preview through the Android Beta Program before October ends. The Nexus 5X, Nexus 6P, and Pixel C will be the first to get access through the beta. Once the final 7.1 release is ready, which should happen in December, the Nexus 6, Nexus 9, and supported Android One devices will get access as well. Of course, if there is an even knewer stable version at that time, the Pixel and Pixel XL will also be a part of the update. What about the rest of the Android world, when will it see Android 7.1? Google has already “been working closely” with other device makers. That’s great and all, but you and I know that it’ll be a while. 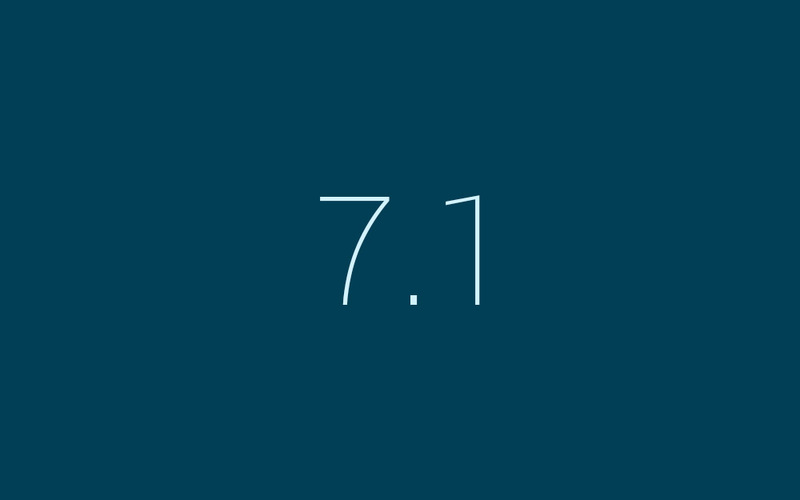 What’s new in Android 7.1? You’ll see “app shortcuts,” support for circular icons (like on the Pixels), image keyboard support, and more. The full list of changes can be found here.